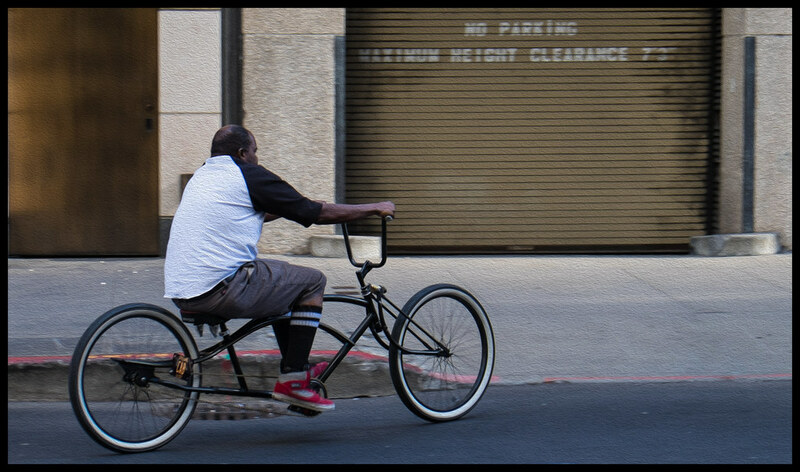 While walking along Pine St. in San Francisco, I captured this image with my new Fujifilm X-E2 of this guy and his elongated “Texas-size” bicycle frame. He was here for a moment and then gone. Fun street photography! Post-processed in Lightroom and Photoshop CC with a bit of an oil paint filter applied to make the textures of the light more interesting.